Süß gelockt durch holde Töne. Nur das Herz gibt ihnen Wert! Ist den Sternen nur gewährt. Wasser spielt auch auf dem Kulturhausvorplatz eine Rolle. Hier finden Besucher Wasserspiele, die aus zwölf im Boden eingelassenen Düsen hervortreten und im Sommer als Spielfläche für Kinder dienen. 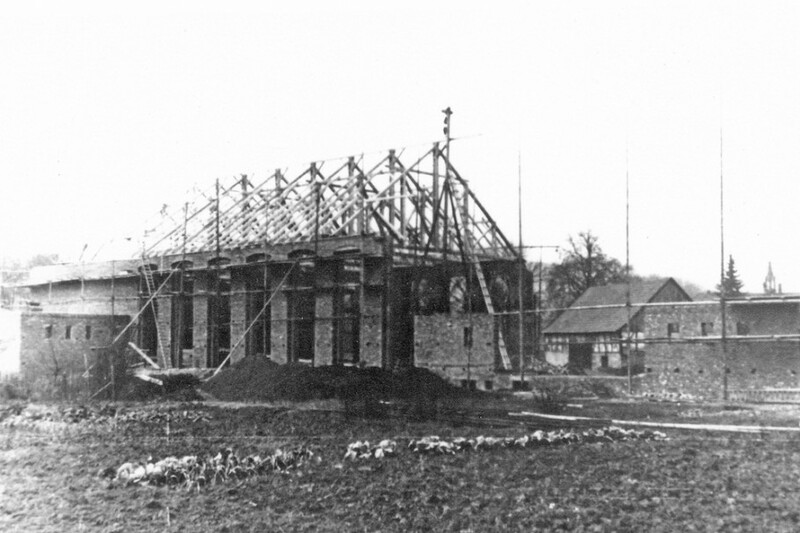 Der Kulturhausvorplatz wurde gemeinsam mit dem Kulturhaus zu Beginn der 1950er Jahre gebaut. Der Platz sollte damals als Aufmarschfläche dienen, später wurde er als Parkplatz genutzt. Heute ist die Fläche ein Platz der Begegnung für Alt und Jung. Ein Parkplatz für knapp 90 Fahrzeuge entstand hinter dem Kulturhaus. Hier haben Besucher der Stadt, des Kulturhauses und Wanderer die Möglichkeit ihre Autos abzustellen. The House of Culture and the environment were renovated and attractively remodeled with funds from the European Union and urban subsidies. Water has always been a fascination for people. In this respect Geisa has a lot to offer. The largest river is undoubtedly the Ulster. 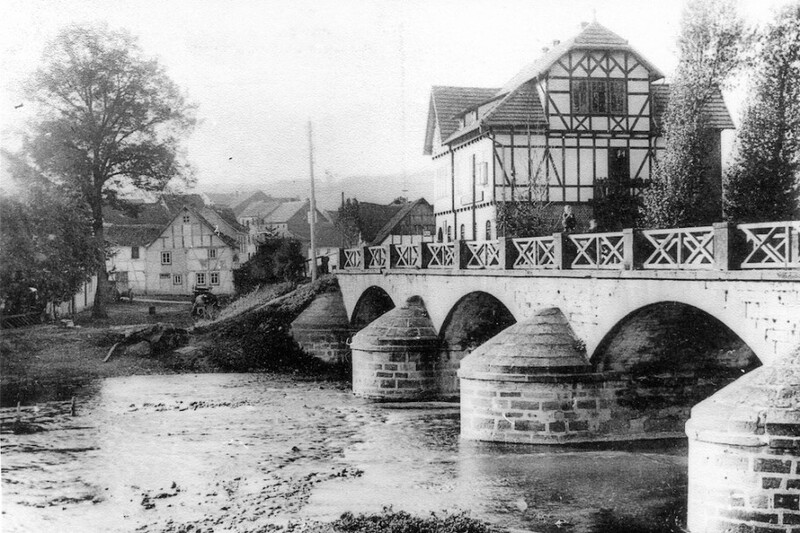 With a length of 56 kilometres it is the longest tributary of the river Werra in the Rhoen. It originates from the Gold Fountain on the northern slope of the Swabia Sky in the Hessian Rhoen and flows into the Werra near the potash factory in Hattorf which is between Philippsthal and the district Heimboldshausen. The river is one of the most ecologically valuable waters in Hesse and Thuringia. The writer and Goethe`s secretary Friedrich Wilhelm Riemer (1774 – 1845) dedicated the following poem “The Mermaid of the Ulster” to the Ulstertal. In his poem he describes the beautiful scenery with the most poetic words. Water also plays a role in front of the Culture Hall. Here visitors find fountains that emerge from twelve bottom embedded nozzles. This place is especially used by kids in summer. The square in front of the Culture House and the Culture House itself were built at the beginning of the 1950s. The place was supposed to serve as a staging area and later it was used as a parking lot. Today this area is a meeting place for young and old. Parking for about 90 vehicles is possible behind the building. Here visitors and hikers have the option to park their cars.